Soldiers pay their respects to Corporal Ashley Birt, 22. 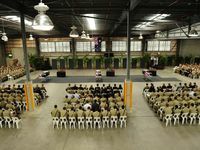 GYMPIE Regional councillors paid respects in two quite different ways yesterday, as they formally remembered fallen Gympie soldier Ashley Birt. Gympie Uniting Church's Father Graham Bissell led pre-meeting prayers with a special mention of Corporal Birt at the council's general meeting at Gympie Town Hall. 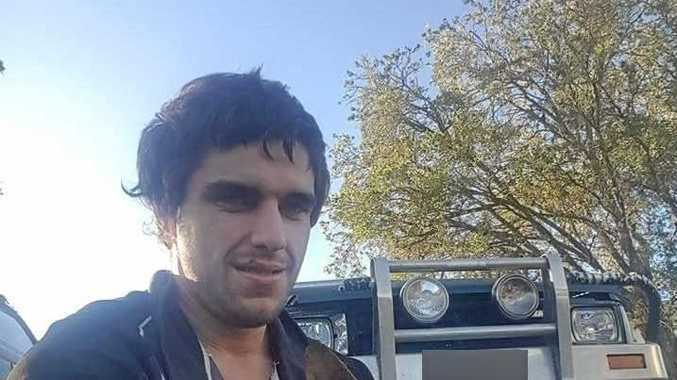 Deputy Mayor Tony Perrett mentioned both Cpl Birt and Kilkivan road crash victim Fay Lahiff as he called for a minute's silence for deceased residents and their families and friends. Mayor Ron Dyne, a former army officer, was absent from the meeting, as he attended an army memorial service at Gallipoli Base, Enoggera. "It was a very moving service," Cr Dyne said of the memorial ceremony. The ceremony involved hundreds of soldiers who gathered to pay tribute to their colleague, who was gunned down in Afghanistan 11 days previously, at the age of 22. Ashley's brother, Cpl Dale Birt led the service in The Soldier's Prayer, which asks for "a strong heart and cheerful mind". "Let our uniform remind us daily of the traditions of the army in which we serve," he prayed. "When we are inclined to doubt, strengthen our faith," he asked, before laying a wreath, on behalf of his family, on his brother's casket. The ceremony was also attended by four senior officers. Cpt Bryce Duffy, 26 and Land Cpl Luke Gavin, 29, were killed in the same attack. Yesterday's Brisbane memorial service for Gympie's Cpl Ashley Birt came as three more Australian soldiers were shot by an Afghan soldier at Charmestan, in the Uruzgan province. AAP reported that during the service, friends, family (including parents Linda and Don Birt) and hundreds of soldiers watched as L/Cpl Matthew Evans remembered Cpl Birt as "the life of the party, whose physical prowess was the envy of his fellow soldiers". "Ash had this natural ability to master anything he did, which everybody secretly hated him for. "Anyone who has ever met him would agree that he would be the pinnacle of all soldiers." 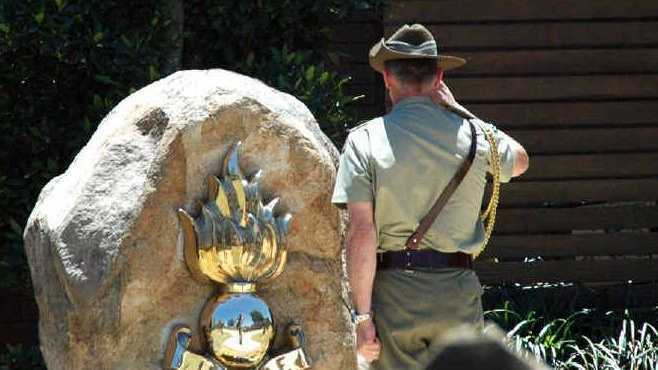 Cpl Ashley Birt's funeral will be held in Gympie at the Pavilion on Monday. Help us accept our share of responsibility with a strong heart and cheerful mind.